Mother’s Day is just around the corner and if your spring has been anything like mine, you haven’t had 3 seconds to think about what to give to your mom. 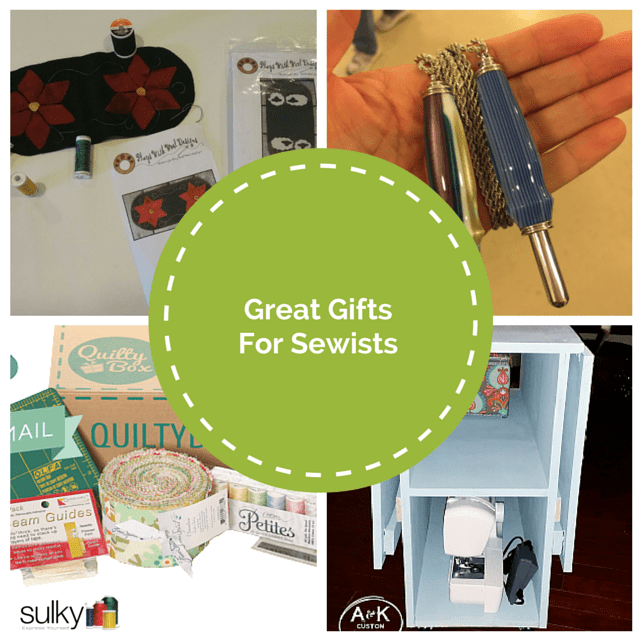 If your mama is a sewist like mine, here are some great tutorials that I found around the web (do we still call it that?) for some great gift ideas. Make this one even more special by using a cup that has sentimental value to you and your mom. It’s a chicken feeder! 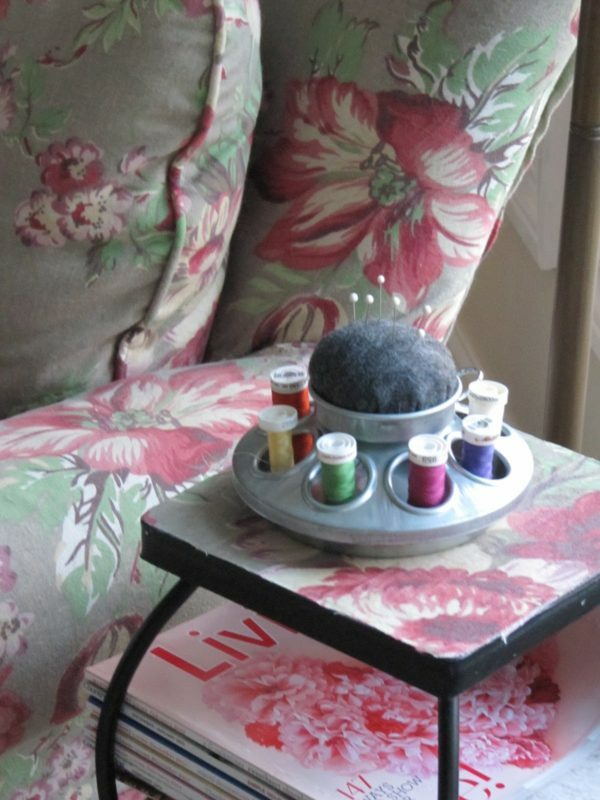 What a great place to put your Sulky Cotton Petites, scissors, pins and needles. 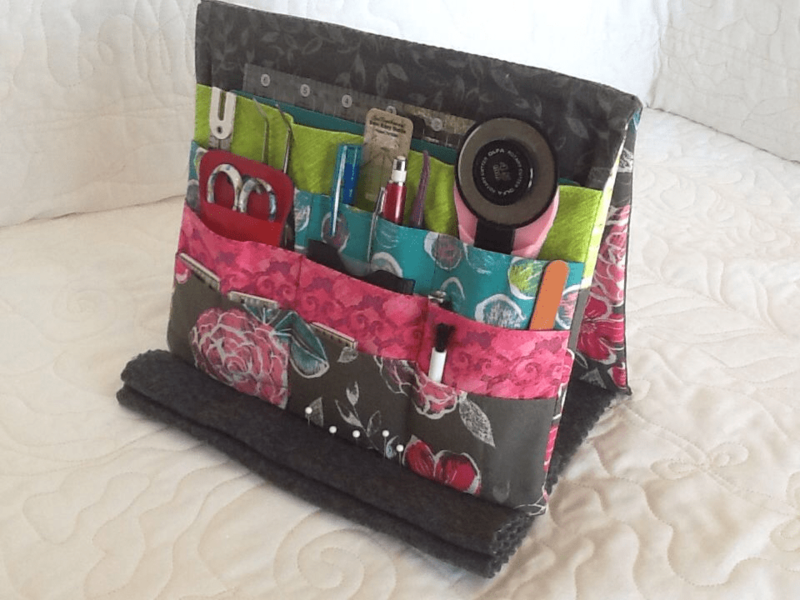 It gives you an adorable hand sewing station wherever your mama wants to put it. 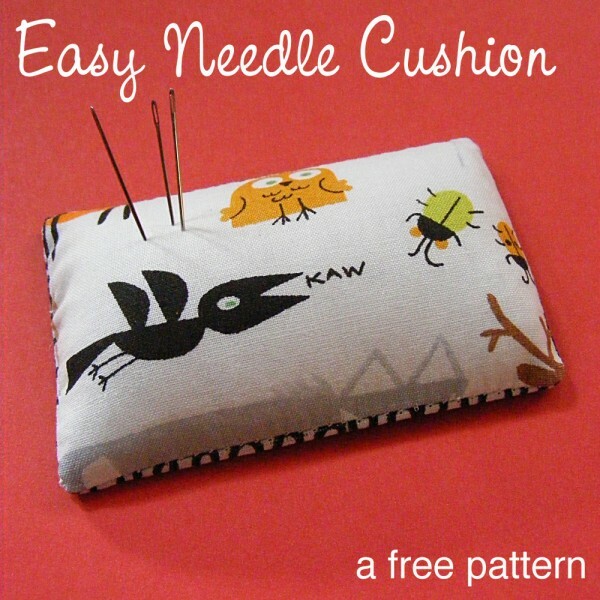 This is not exactly a pin cushion; it’s a needle cushion from our friends at Shiny Happy World. 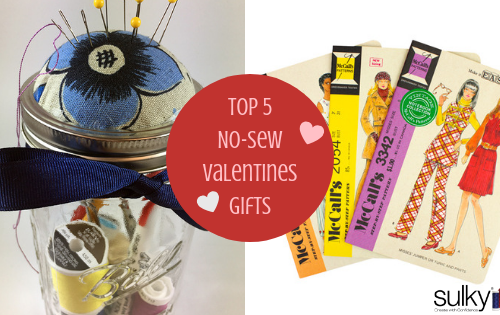 Make this with your mama’s favorite fabrics and add a pack of her favorite needles, you have a perfect gift. 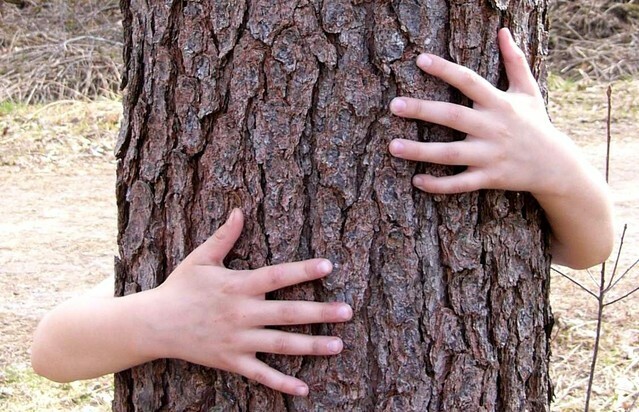 Are you still worried you won’t have time to make something? It’s okay; your mom sews! 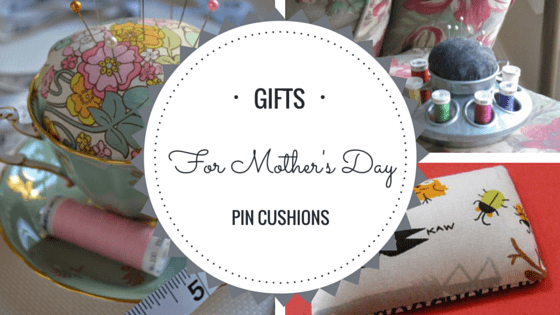 Just print out the tutorial, collect the supplies to make the pin cushion, add some Sulky Cotton Petites, scissors, pins & needles and for goodness sake, don’t forget to add a heart felt note thanking her for being a great mom, friend, protector, provider and warrior for you all these years. Happy Mother’s Day and Happy Sewing! I’ve made many pin cushions in containers, my mother in law made crazy patches put them around a styrofoam ball, they were very cute. Like your ideas too! Please give examples of stuffing to use. You can use regular Polyfil, batting, wool roving, crushed walnut shells (you can find this at the pet store and your local quilt shop) or a combination of any of these things! It depends on how heavy and stuffed you want your pin cushion. 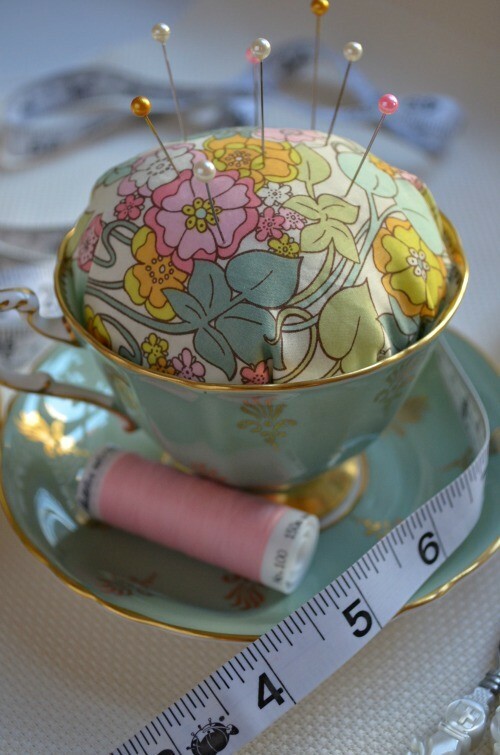 When I made the tea cup one, I only used Polyfil and when I made the needle cushion, I only used the crushed shells.